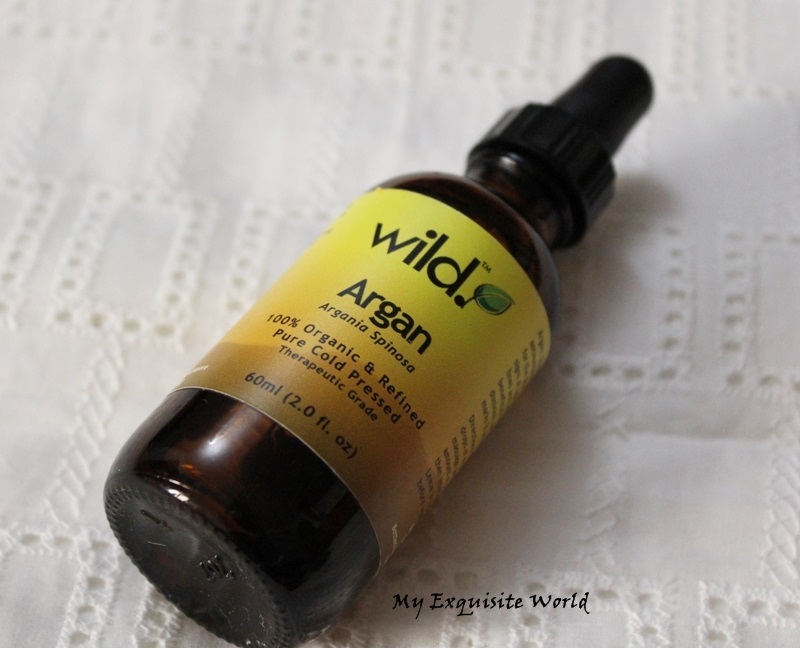 Wild Products Argan Oil -My review! ABOUT:Loaded with Vitamin E and essential fatty acids, this organic 100% pure oil has amazing healing, conditioning and repairing properties for the skin, hair, feet, nails and even your baby’s bottom. Argan oil is known as the “Liquid Gold of Morocco” and is extracted from the nut of the Argan tree which only grows in the Moroccan desert. It is light enough to use as an everyday facial moisturizer. 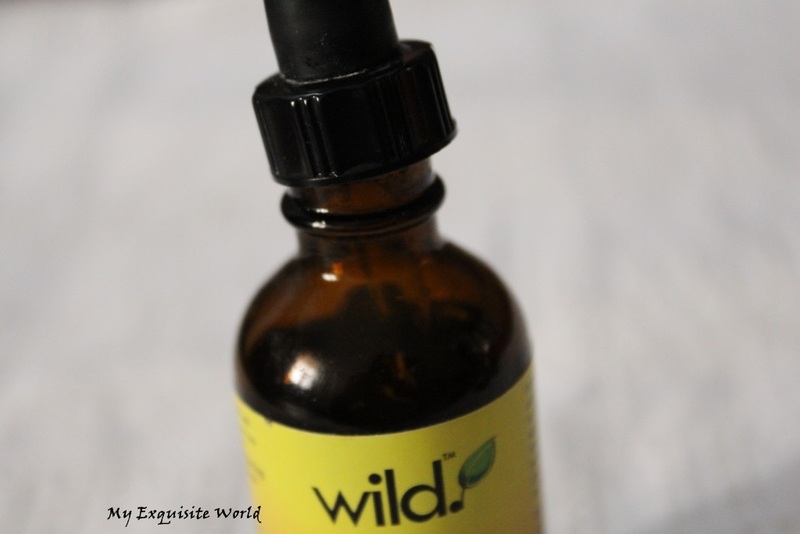 PACKAGING:The packaging is nothing fancy but very functional with a dark colored glass bottle having a dropper to get the oil in hand.The oil is generally stored in dark container to keep it away from sunlight.It is easy to use and store but I wont call it travel friendly as it is prone to breakage. 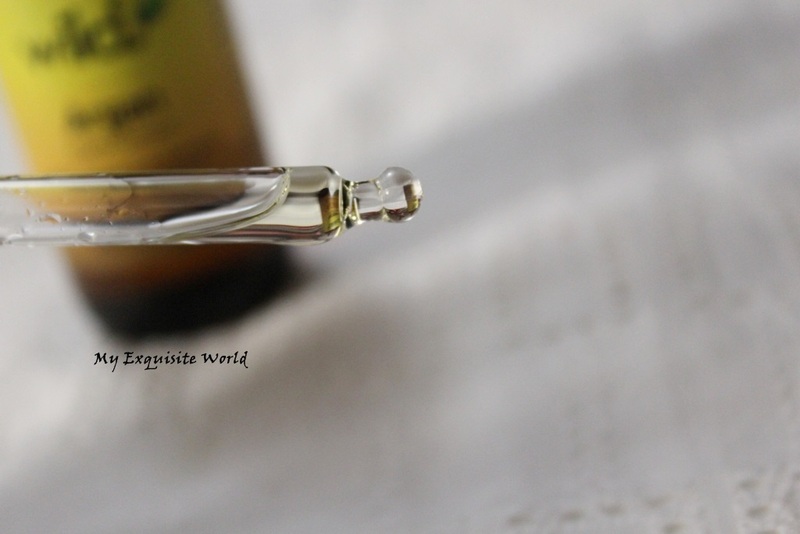 MY VIEWS:The oil is light yellow colored.It is very thin and absorbs quickly in the skin.This oil is easy to spread and only a small amount is needed(2 drops) for entire face.It deeply nourishes my skin and makes it smoother on application.I began using Argan Oil in March;started using this oil twice a day.I used to apply it before sunscreen in the morning and before applying serum in Night.It was working really well.The oil didn’t break me out and I could see a sudden radiance in my face,evenning out of my skin tone and reduction in pigmentation.However,with the onset of summers,I cannot apply this during day as i sweat a lot and my skin feels way too oily.I only apply this during night. After 3 months of using this oil,I feel that this is an amazing product as it has made my facial skin really smooth.My skin looks nourished and healthy.It has added luminosity and I don’t feel the need to apply makeup as it has reduced pigmentation around the corners of my face.The oil didn’t break me out.I mix 2 drops of it in my serum and spread it all over my face.It absorbs really fast and doesnt leave any stickiness or oiliness behind which is amazing since I have combination-oily skin.I have used this oil on the ends of my hair but I didn’t find much results there(I used it 3-4 times).I sometimes massage this oil on my nails to nourish them and I feel that my cuticles get very soft after that.It can be used as a light moisturizer as well.It helps in healing scars,acne faster also. I have also tried using this as an under base to add glow to skin.Applied 2 drops of the oil and let it get absorbed and then applied foundation.I saw my foundation spreading easily and it gave a nice dewy finish though I had to use a compact after 4 hours to reduce shine on my face. RECOMMENDATION:An amazing oil,an amazing skincare essential.I am truly hooked on this.Now,I know why this is called Liquid Gold.Only a small amount is needed .I have been using this bottle for more than 3 months now and 80% is still left.Also,the wild organic one is more economical as it has 60 ml of product which I believe will stay with me for an year. 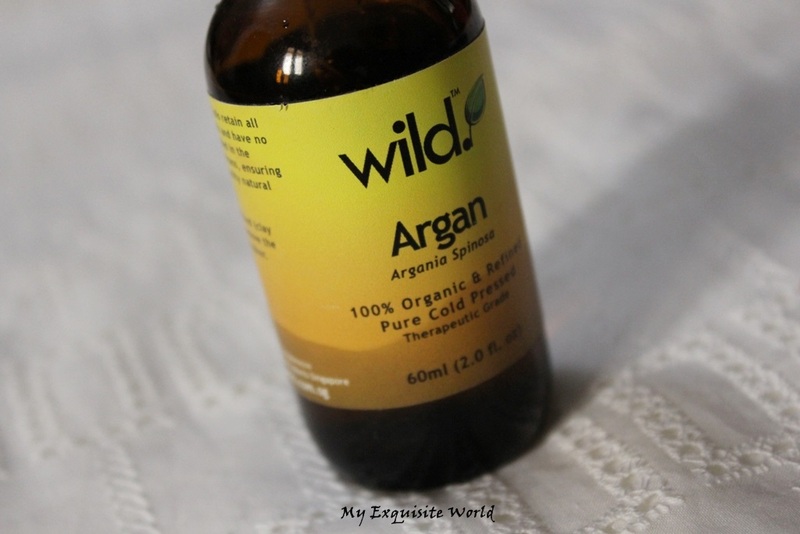 Argan oil is a truly versatile substance, and its popularity is growing everyday thanks to its many uses. 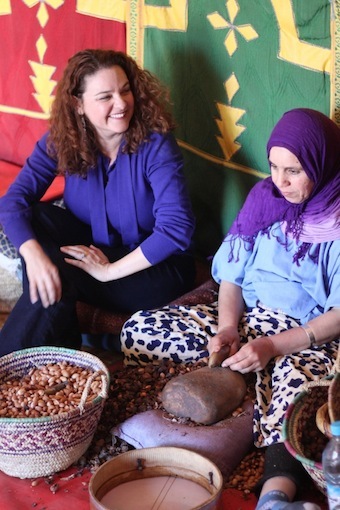 The Berbers who first discovered the oil probably never dreamed of how far it would reach into the world, but from making food taste better, to making skin and hair shine, we all benefit from the many argan oil uses. 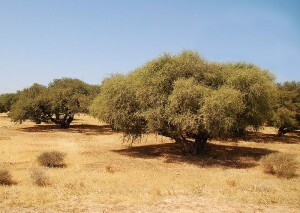 What is Argaon oil:Argan oil is pressed from the nut of the fruit of the Argan Tree, which is only found in Morocco. The argan tree lives to be about 150 to 200 years old and does not start producing the fruit until it is 30 to 50 years old. Because the tree is found only in a limited area, the oil itself is quite rare. Morocco’s mountain goat, called the Tamri goat, eats the fruit of the Argan tree. The goats literally climb the tree to get to the nut. Sometimes ten or more at a time in one tree. For a tree that only grows to be about 35 feet tall, that’s a lot of goats.The argan oil producers would take the droppings of the goats, which had the seed completely undigested, and use that to produce the argan oil. While we’re sure that is still practiced today, we are hearing that some argan oil producers are producing the oil without the help of goats. Why Argan Oil: It is quite often referred to as ‘liquid gold”.Since,a lot of manual word is required in the extraction of oil,the oil is quite expensive.It’s chockfull of essential fatty acids, anti-oxidants, vitamins and minerals that promote your overall health by moisturizing, softening as well as protecting your face and hair from sun damage – without harmful toxins and Parabens. 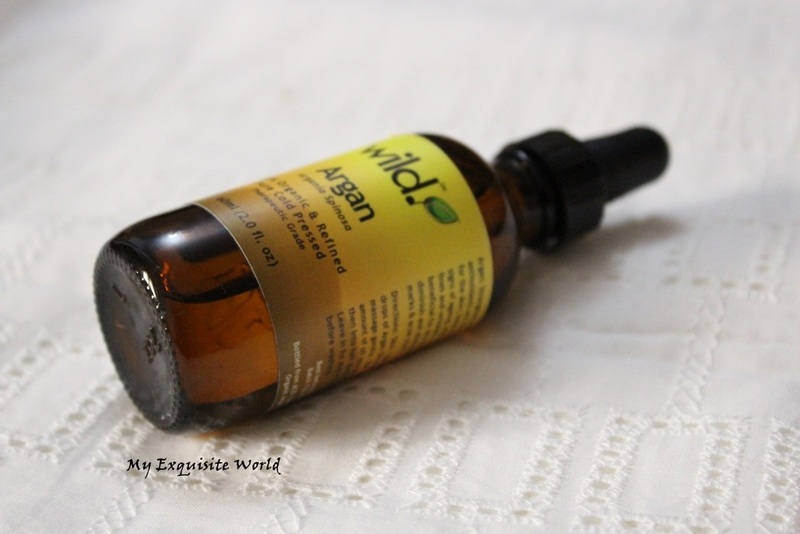 Lately,I have been doing a lot of research on Argan oil.It has become quite famous and widely used nowadays in hare care treatments as well as for face treatements.Below,I have listed few uses of Argaon oil. HAIR:Argan Oil is a natural hair protectant –Argan oil is common to a lot of professional people working in the salon because of the benefits it can give to the hair.Argan oil is a great product to calm frizzy ends, add moisture to dry hair as well as add a little shine. Apply to your hair while it is still damp for an all over treatment or apply just to your dry ends after your hair is dry. FACE:Argan oil can do great wonders on the skin –Argan oil is rich in antioxidants so it has the ability to regress the signs of aging. Its restorative and ant- aging advantages have been the major reason of the increased demand of this product even though it is expensive. 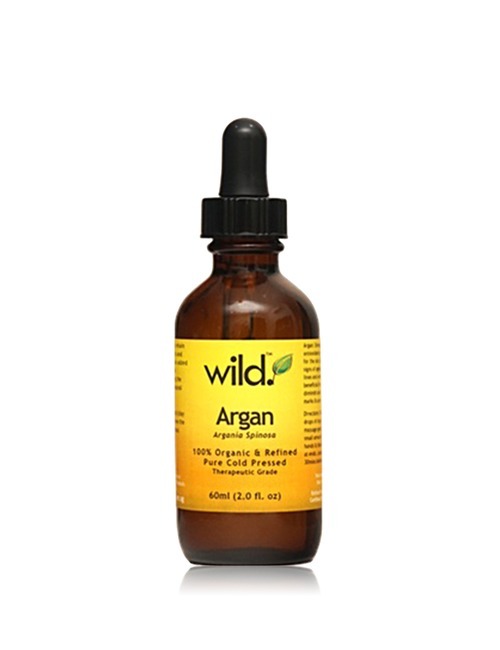 When applied to the skin, Argan oil can eliminate wrinkles and other skin degenerations. The presence of unsaturated fatty acids and Squalene on the Argan oil makes it’s very effective in fighting free radicals that causes skin aging. 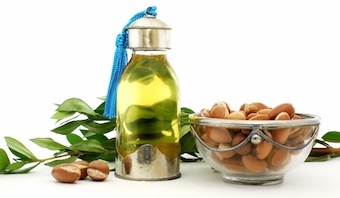 Argan oil for skin can help soften some of those marks of life. 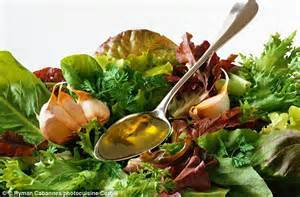 It has plentiful amounts of linoleic acid, fatty acids, and tocopherols, which when combined can promote cell regeneration. They can also form a barrier to the damage done by free radicals. Applying argan oil will enhance your skin’s elasticity, which in turn keeps it strong enough to withstand large amounts of stretching. To get the optimum out of your argan oil treatment, twice a day rub it into areas most likely to develop stretch marks, such as the stomach, waist, thighs, hips, and breasts. New mothers will want to continue this process up to three months after the child is born, while the skin returns to its former shape. HOME USAGE:Because argan oil is made up of more than 80% unsaturated fats, it is considered a healthy “superfood”. People suffering from heart conditions can greatly benefit from the high amount of unsaturated fats it contains. HANDS:Argan oil is a great oil to use on your hands, especially on your cuticles and on your nails if they are prone to cracking and peeling. 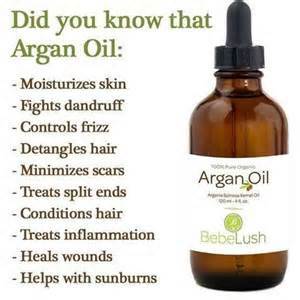 BODY:You can use argan oil for a full body moisturizer, applying just as you would a body lotion or cream. Apply the oil right after you get out of your shower for best moisturizing results. FOR AN ADDED GLOW:Add a drop or two of argan oil to your foundation, bronzer or tinted moisturizer for a dewy, luminous glow. 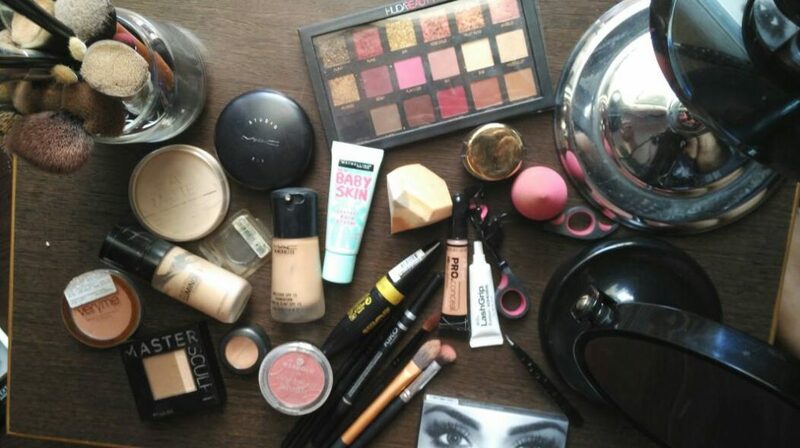 However,the most important thing is how to use it.You always need a carrier for such treatment oils.Like,whenever I use my Lotus treatment Oil,I make sure not to apply it straight onto the face,but..I always mix 1-2 drops of it in my serum or night cream.In the same way,you need to use argan oil in combination with some carrier cream or serum.Also,always test it first by applying it during night. 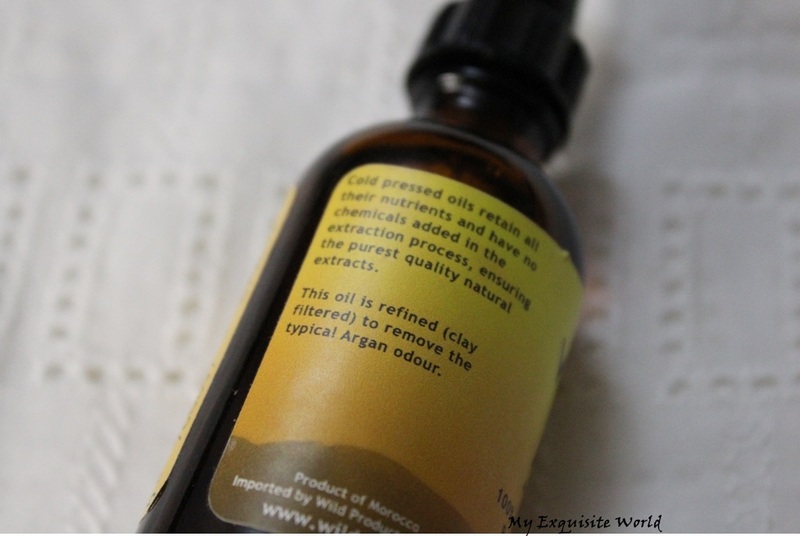 I have recently purchased Argan Oil from Luxola.I have started using it and will be back with the review of the same after a few days..